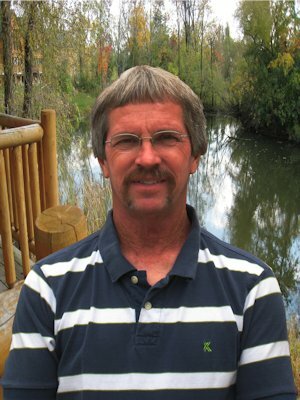 Larry Fox of Stronghurst, has been selected as a "Class of 2015" inductee to the Illinois 4-H Hall of Fame. The Illinois 4-H Foundation honors extraordinary 4-H alumni, volunteers, and former 4-H staff by recognizing them with the Hall of Fame Award. Illinois 4-H Hall of Fame inductees have a track record of exemplary service to 4-H or outstanding career and community achievement and may be nominated by either county University of Illinois Extension staff or by the Illinois 4-H Foundation Board. Larry was nominated by Henderson County Extension based on his volunteer service to Henderson County 4-H.
Born and raised in Stronghurst, Larry was an active member of the Blue Ribbon 4-H Club. He showed rabbits and woodworking projects. Although he did not show horses in 4-H, he did have them as he was growing up. In 2003 Larry became an active 4-H parent in both the Trailriders 4-H Club and the Stronghurst Hustlers 4-H Club. He helped the clubs with fundraisers, community service projects, and the show season. Larry continues to volunteer and offer his help to 4-H whenever he is needed, and even though his children are now grown, he continues to supply and set up all the obstacles for the horse show every year. Larry has also volunteered at the Henderson County Fairgrounds where he has worked the large arena for both livestock shows as well as derby nights. In addition, Larry continues to be a very active member of the Stronghurst Volunteer Fire Department, and is a valuable member of the Stronghurst community. Now Larry is looking forward to helping his grandchildren when they are old enough to join 4-H. Along with other award winners from throughout Illinois, Larry will be recognized at the State Fair Illinois 4-H Recognition Event on Saturday, August 15 at 1:00 on the Director of Agriculture's Lawn, on the Illinois State Fairgrounds. 4-H families are welcome and encouraged to attend this event. Introductions and recognitions will include presentation of several 4-H award winners in addition to the induction of the Illinois Hall of Fame "Class of 2015." You may register for the event at illinois4hfoundation@illinois.edu. Larry Fox is in good company with previous 4-H Hall of Fame inductees from Henderson County: Catherine Burg (2005), Curt Eisenmayer (2006), Jill Leary (2012), Lisa Corzatt (2013), and Randy Bigger (2014).